Faulty biomechanics occurring in the lower limbs can cause generalised postural pain when both exercising, standing and even sitting. Overuse of muscle groups causes associated muscular imbalance which can cause problems with the shoulders, neck, upper and lower back or hips. Patients suffering with postural problems that are caused by poor lower limb biomechanics, usually have an asymmetrical problem. In simple terms one leg is functioning slightly differently to the other causing alterations in pattern of gait. Muscles further up the chain of motion try to compensate for this altered gait pattern to alleviate functional stress. 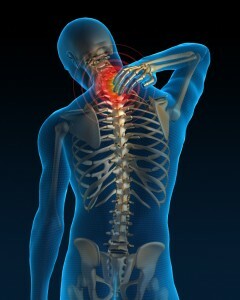 This results in muscle imbalance which can lead to postural pain. Patients with postural problems caused by poor biomechanics have often been to see other health care professionals such as chiropractors, physiotherapists and osteopaths with little resolution of symptoms.